The SMC Full Circle Doula Training will provide you with tools, skills, confidence and know how to begin your journey to lovingly assisting pregnant women through pregnancy, labor, birth and into motherhood employing emotional and physical support with local and national resources. Join Shafia M. Monroe, founder of the International Center for Traditional Childbearing (ICTC), and the creator of the SMC Full Circle Doula/Birth Companion Training for an amazing training to become a SMC Full Circle Doula Trainer. Shafia M. Monroe is a veteran midwife, certified doula trainer, and Masters of Public Health. She is a mother, grandmother, herbalist, motivational speaker, and mentor. This distinctive training is built on the legacy of the 20th Century African American Midwife, who provided holistic services, with birth and postpartum rituals and mothering skills (Wilkie, 2003), building confidence and leadership abilities within families. The training is an excellent preparation for individuals who plan to become midwives. Shafia M. Monroe is captivating, funny, respectful and honors the experiences of each person who attends the training. She is a veteran midwife, certified doula trainer and Master of Public Health. She recognizes her Alabama roots and incorporates the southern style of healing, using the laying on of hands, herbs and prayer. Her forward-thinking training style encompasses cultural awareness, sisterhood, love and diversity. Shafia helps each student find their inner strength and identify their calling in birthwork work. A champion forerunner of birth justice and reproductive justice work, doula and midwifery education, public health, professional development, and infant and maternal mortality prevention, Shafia Monroe guarantees an unparalleled training experience. Shafia has instructed hundreds of trainings across the globe with thousands trained as SMC Full Circle Doulas. 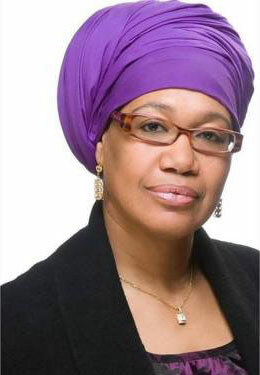 Some of her students include: Amparo Vesga, Claudia Booker, Basmah Karriem, Nicole Deggins, Monica Raye Simpson, Roberta Eaglehorse Ortiz, Shantae Johnson, Sheryl Paul, Meies Matz, Chanel L. Porchia- Albert, Sandra Hernández La Cantadora, Muneera Fontaine, Samira Alex, Freya Morani, Nadiyah Seraaj, Samsarah Morgan, Skylar Johnson, Tierra Solomon, Lauren Anita, Stephanie Johnson, Maat Felicia, Sarah Husain, and Solomon Ibe; and Erykah Badu, four times GRAMMY™ Award winner, singer/songwriter and holistic healer. Shafia Monroe Consulting (SMC) offers three payment options as a resource for individuals registering for the SMC Full Circle Doula Training. Pay for your training in 1 easy payment. Once registered, you will receive your confirmation and training details so you can prepare for your training. You will receive your student doula certificate on the last day of the training. Pay for your training in two easy payment. Once registered, you will receive your confirmation and training details so you can prepare for your training. You will receive your student doula certificate on the last day of the training. Payment Option 2 incurs a one-time non-refundable enrollment fee of $25.00 that is distributed across each installment. Pay for your training in three easy payment. Once registered, you will receive your confirmation and training details so you can prepare for your training. You will receive your student doula certificate on the last day of the training. A one-time non-refundable enrollment fee of $25.00 is distributed across each installment. Enjoy a one hour lunch break daily at a local restaurant or on-site. Several breaks are integrated into the training. The SMC Full Circle Doula Training Manual and an introduction packet with the training syllabus is included in your tuition fee. The manual and packet is given on day-one of the training. The required reading materials form the foundation of this training. Please make to read all the materials and bring them with you to the training. The books are available at the library and online at https://smile.amazon.com/. By using “Smile.Amazon” the ICTC receives a nonprofit donation. Thank you for this consideration. What is included in the cost of the training? Shafia Monroe Consulting (SMC) does not discriminate on the basis of race, color, religion (creed), gender, gender expression, age, national origin (ancestry), disability, marital status, sexual orientation, or military status in any of its activities or operations. If the training is canceled by SMC, the registrant (trainee) will receive a full refund. If the registrant (trainee) cancels within 24 hours from the time of registration, a refund will be given, less administrative fee of $50.00. If the registrant (trainee) cancels at least two weeks prior to the training start date, the registrant (trainee) has the option of transferring to another training of equal or lesser value within the program within 12 months of the original training date. I hereby grant permission to the rights of my image, likeness and sound of my voice as recorded on audio or videotape without payment or any other consideration; understand that my image may be edited, copied, exhibited, published or distributed and waive the right to inspect or approve the finished product wherein my likeness appears; waive any right to royalties or other compensation arising or related to the use of my image or recording. I understand that I may be consulted about the use of the photographs or video recording for any purpose other than those listed above; that there is no time limit on the validity of this release nor is there any geographic limitation on where these materials may be distributed. I understand this release applies to photographic, audio and/or video recordings collected as part of the sessions listed on this document only and by signing this form, I acknowledge that I have completely read and fully understand the aforementioned and agree to be bound thereby. I understand that photographic, audio and/or video recordings may be used for the following purposes: conference presentations, educational presentations or courses, informational presentations, on-line educational courses, educational videos and marketing. I understand that I will be consulted about the use of the photographs or video recording for any purpose other than those listed above and that there is no time limit on the validity of this release nor is there any geographic limitation on where these materials may be distributed. I understand that this release applies to photographic, audio or video recordings collected as part of the sessions listed on this document only.